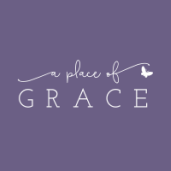 A Place of Grace is a custom-design spiritual retreat planning ministry with multiple retreat offerings where people who are longing for a relationship with God can meet God on holy ground. One- to two-hour, half- and full-day retreats can be designed for individuals, couples, families, small groups, churches, businesses, schools, or organizations. My mission is to nurture delight, facilitate healing, and inspire prayer in people of all ages and from all walks of life through creative spiritual practices. That means there will be some element of play, touch of humor, or sense of relaxation incorporated (nurture delight). I will bring to bear all my gifts, skills, and pastoral care experience to help my clients find renewal and wholeness of body, mind, and spirit (facilitate healing). Faith, hope, and love will surround each client, and activities will encourage engagement with God (inspire prayer). I will welcome children, youth, and adults. I will also welcome people of varying backgrounds, gender identifications, races, and orientations (people of all ages and from all walks of life). Folks who need spiritual support will not be inhibited by price, therefore, I will hold to an offering-based ministry model instead of a fee-based structure, so that what I have to offer is always affordable and based on holy currencies (people ... from all walks of life). Retreats will be planned with intentional effort to reach participants of all ages on a multitude of levels, including using multiple intelligences, ancient and contemporary practices, and thoughtful wondering questions (through creative spiritual practices). Have a look around the site. Follow me on Facebook. Let me know what sparks your interest. :) I look forward to serving you!